When you’re looking to rent a new home whether it be a house or flat, there are a number of factors you would will need to take into account. For example the price, size, location, and whether you choose a property that is part furnished or unfurnished. This poses a big question as some landlords are inflexible with removing or providing furniture. If you rent a part furnished or an unfurnished property it will depend on your exact needs. I have explained the definitions below. As a general rule, an unfurnished property is limited to minimal items. Items that will always be included in almost all properties are fridge/freezer, washing machine and oven/hob, flooring, window coverings, and kitchen and bathroom fixtures – but nothing in the way of furniture, free-standing storage units, or smaller items like cutlery. Applicants have become increasingly confused with the term part furnished or furnished. Part furnished means the property would contain the basics i.e. beds, sofa, table and chairs, wardrobes. Furnished would mean extra items like coffee tables, side tables, bookcases and other furniture items which full out a property. In some cases properties are fully furnished which would be found in short lets which include cutlery, crockery, towels, linens etc. For all of these variations of furnishings, the property would including all of the main appliances such as an oven/hob, fridge/freezer and washing machine. 1. Convenience: One main advantage of renting furnished accommodation is that it’s the easiest and most convenient option. You can move in quickly and easily and be ready to start life in your new home immediately, without needing to worry about sourcing and installing furniture. 2. Flexibility: If you’re looking to move quickly, a part furnished property can be a real benefit. It may also be the case that you already own some furniture, but are looking to rent for the short term and would prefer to store your items for a period of time. 3. Lower initial expense: The lower initial financial outlay is another potential advantage of renting a furnished property. As all of the key items for day to day living are included, there’s no need to pay out large sums for that new washer/dryer, bed, wardrobe and three piece suite all in one hit. 1. Cheaper in the long run: On the flip side, supplying, maintaining and ensuring the items for a furnished letting involves additional costs for the landlord. If you rent an unfurnished property, once you have purchased any items you can, of course, take them with you to your next home. If you do need to supply your own furniture, you will be responsible for ensuring it. 2. Less risk of losing your deposit: It’s an idea to also think about possible damage, and wear/tear. When renting a part furnished property, you could find yourself liable for the condition of the furnishings. A check-in inventory would be done when you first move in to ensure your deposit is protected but as we all know accidents do happen. 3. Ability to make it your own: Another important factor to consider is whether you are looking to make the property your own. With a part furnished property, you are slightly more restricted as to how far you can add to it. If you’re not too bothered about sharing someone else’s taste in decoration this may not pose a problem. 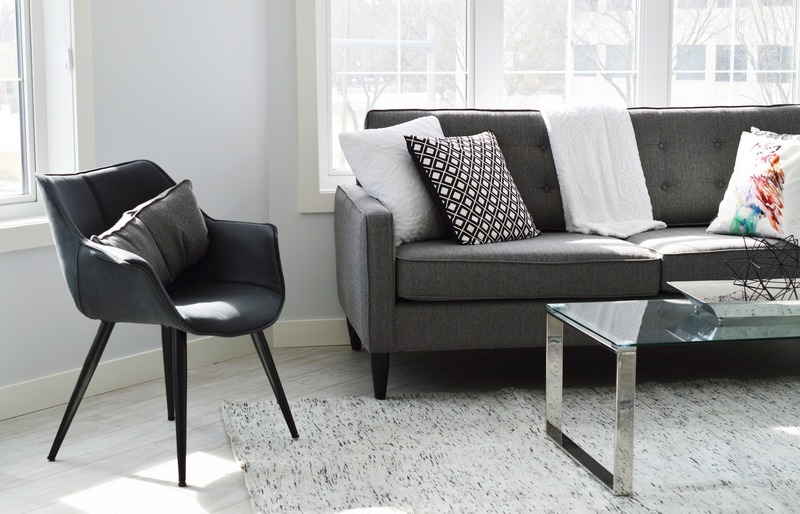 Whether it’s better to rent a part furnished or an unfurnished property will depend on a number of factors, including speed in which you need to move, convenience, your own personal taste, and your long-term plans within the property. If you’re a first time renter or planning to move again within a short time frame a part furnished property might be the best option and as against if you’re looking to make a house/flat a home and looking to stay for the long term it may be worth exploring unfurnished and becoming your own interior designer the choice is yours!